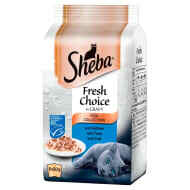 Sheba Fresh Choice Fish Collection. 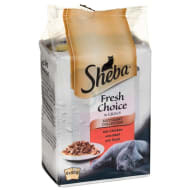 Prepared with quality ingredients, Sheba Fresh Choice is made with small, finely sliced pieces of meat. 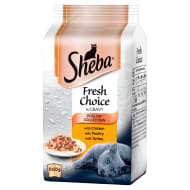 Feeding your cat Sheba will satisfy their feline appetite! 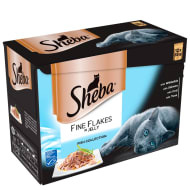 Browse more Cat Food online, and buy in-store at B&M.